What expenses can I claim? HMRC’s Let Property Campaign is a disclosure opportunity which is aimed at property landlords who have failed to disclose rental income. It opened in Autumn 2013 and was originally intended to last for 18 months. In August 2018 there are still no signs of it being closed in the near future. The campaign is open to all residential property landlords from those that have multiple properties, to single rentals, and from specialist landlords such as student or workforce rentals, to holiday lettings. It does not apply to companies or trusts. It does apply to non-resident landlords. It is not to be confused with the Property Sales Campaign which covered undeclared property gains and closed in August 2013. HMRC have worked with a variety of bodies to develop tools and guidance to support landlords of all types and help them get their affairs up to date. HMRC will use information it holds about property rental in the UK and abroad, including Land Registry data, along with information already held on HMRC‘s digital intelligence system Connect, to identify people who have not paid what they owe. For those that fail to come forward, higher penalties or even criminal prosecution could follow. HMRC's Let Property Campaign Hotline between 9 am and 5 pm Monday to Friday on 0300 123 0998. Digital disclosure service which can be used to make an online disclosure. 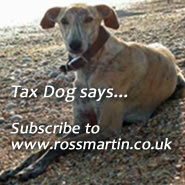 Please contact the Virtual Tax Partner support line for specialist help in making a disclosure or any other tax matter.